Who is fishing in the fishbowl? And who is knitting a warm sweater? Little puzzle pros can decide for themselves what the animals do. By mixing and matching, they can create funny animal activity combinations. 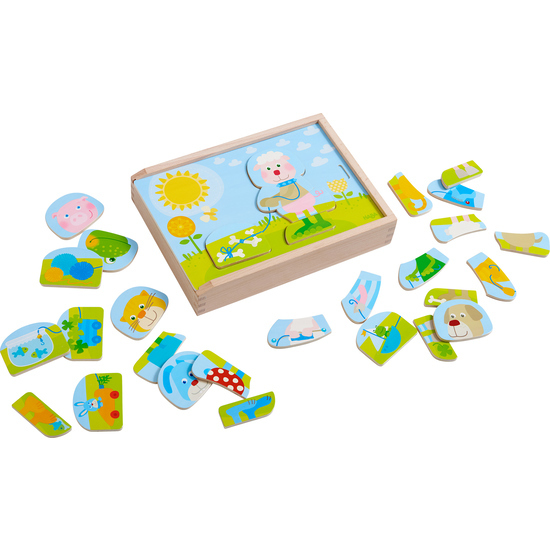 The sliding lid provides the puzzle frame, while the box safely stores all puzzle pieces. Contents: 1 box, 30 puzzle pieces.